It’s a quiet day. You’ve finished up that contract before your vacation. The kids really like their new day camp. You feel pretty good, considering the roller coaster you’ve been on recently. You’re excited thinking about that new chicken recipe you’ll try tonight. Then your mother calls to say that your father’s in the hospital again. It’s nothing major, but at his age, isn’t everything potentially major? All thoughts of dinner leave your head. In fact, your appetite gets kicked to the curb for the next few days, even once you know everything’s okay. Then your mystery cramps come back. You’re bloated and have to rush to the bathroom every couple of hours. It’s how you felt before you admitted your marriage was done. It’s how you felt when you were finishing your Masters, when you were applying to university,… As long as you can remember, all your stress has gone to your belly. You chalked it up to hormones, blamed it on your menstrual cycle. You went through phases of fat-free diets, sugar-free diets, candida cures and giving up gluten. You’ve been tested for allergies and GERD with inconclusive results. You’ve taken Tums like candy and occasionally graduate to Pantoloc. Some things help. Some don’t. Some help until the next upset comes, and you start to understand the pattern. You (over)react readily to everything. You feel things so deeply. I bet you grew up hearing that as if it were a bad thing. “You’re so sensitive!” thrown out by other kids when you cried from missing the ball. You eventually learned to curb your reactions to life so as not to upset other people and not draw unwanted attention to yourself. Come to think of it, that’s when your belly started acting up. Your senses are highly attuned to your environment – that’s a good thing! The 5 senses are the feelers that inform your nervous system of impending danger. Being able to recognize when you’re not safe is a strong survival instinct! the electromagnetic impulses whirling around your TV and computer and cell phone. You are picking up more than you know, more than you want, and it plays into how much you can tolerate within your usual day. With such a fine-tuned nervous system, your emotions are also closer to the surface, quicker to react. The French word for sensitive is sensible. Sensible. The word we use in English to denote rational or logical. Considering that your survival is at stake, I’d say it’s rather sensible to be sensitive. A good portion of your nervous and immune systems are active in your digestive tract. Makes sense, considering that it’s one of the main ways we interact with the outside world, taking it directly into our bodies. Serotonin, the neurotransmitter that makes us feel good and calms us down as part of the relaxation response, plays a role in appetite and digestive capacity. If your nerves are reacting strongly to life, then so will your digestion. It’s not just you. We all do: butterflies in the stomach when we’re nervous, can’t eat or eat too much under stress. The more sensitive your nervous system, the more you’ll feel in your gut. The longer your digestion gets jostled by your stress level, the more it will lead to physiological issues and problems related to inflammation. Think about it, the “inflammation” itself is a direct manifestation of reaction to stress and emotion (anger). Certain foods will be a problem for a variety of reasons. Overstimulation from a food you eat all the time, in the same way you can get “sick” of the same pop song coming on every radio station every hour. The way food was grown, harvested, processed, transported and handled by retailers will effect the energy of the food itself. If you’re highly sensitive, you may also be picking up on the vibrations and emotional states of the people involved in getting it to your table. Eat in a state of calm – engage the relaxation response by taking deep breaths or take a moment to give gratitude before you eat. Meditate, to calm your nervous system in general. Ground any anxiety with movement or by getting out in Nature regularly. Eat local and get to know the people who grow and prepare your food. How does stress show up in your body? When you share your experiences in the comments, you open the possibilities for others. Make a gift of this article to your friend with the constantly upset stomach, using any of the links here. 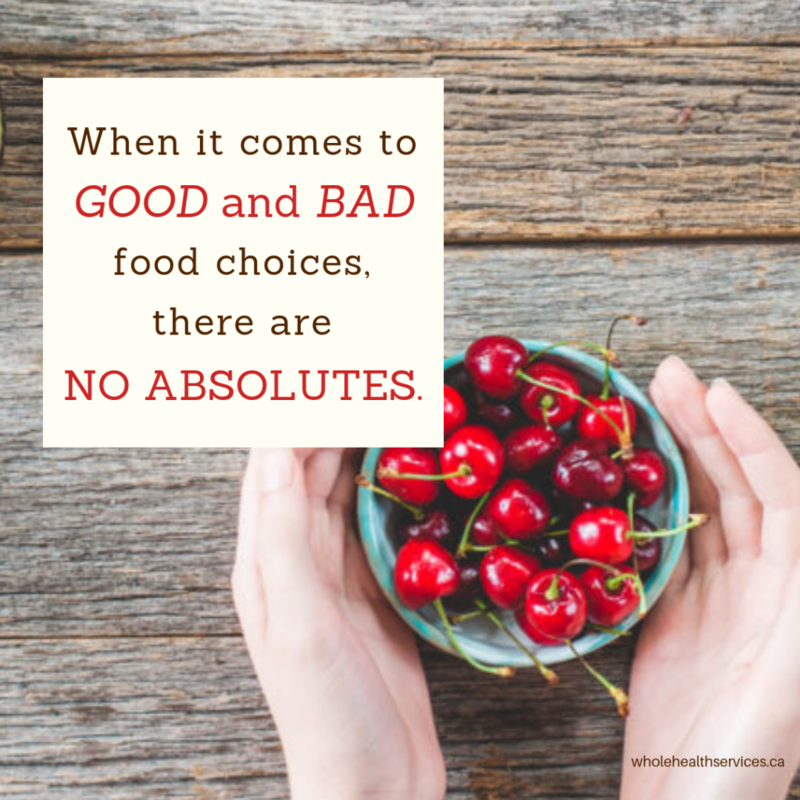 If I had a dime for every time I hear that one… clients and friends who start each day fresh, with new resolve to eat better and take better care of themselves, only to find themselves at the bottom of a cookie bag by bedtime. Raise your hand if you’ve caught yourself in front of the fridge looking for something to do. My mind also likes another type of rationale when I’ve eaten one of my no-nos (dairy & gluten), because that’s what was on offer or because there was a particularly fabulous version I didn’t want to pass up. Since I’ve already “cheated”, I may as well keep going. I know perfectly well that one croissant or grilled cheese sandwich, once in a blue moon, won’t do me much harm, but, I definitely suffer when I overdo it. Sure, there’s the 80/20 rule and cutting yourself some slack, and being forgiving rather than beating yourself up. What’s going on when things shift to 20/80 or the premenstrual grazing becomes a daily habit? When the exception becomes the rule, it’s a sign there’s something more going on. It may be a physical addiction to sugar or to an allergen. Yes, you can get addicted to things you’re mildly allergic to because it sets you up for a cascade of adrenaline and other stimulating biochemicals which give you a certain satisfaction beyond the taste of the food. Anything that tickles the ol’ brain chemistry is going to have your body calling out for more. Certain aspects of addiction are about associations, so, we also start looking for the psychological need for a certain food. Yes, it means digging around in the stories of your past yet again to discover the source of the issue. Once you shed light on it, though, you can more easily dust out the corners and then let its significance fade into the background. A single woman came to me with headaches and other discomforts. Going through her eating habits, she admitted that she often ate a large bag of chips for supper. As we sifted through that fact, she remembered her alcoholic father, cruel and abusive most of the time, would occasionally come home on a bender, lavishing joyful attention on the kids, and declare it a party, complete with pop and chips. In her childhood mind, chips became indelibly linked with love. What more obvious food choice to make when the adult arrives home, stressed and lonely at the end of the day? The fact is, under all of your grazing there’s an emotional need for something more. A divorced man needed my help him with weight loss; a mother of a difficult teenager wanted my support to stick to her anti-inflammatory diet. Both were the epitome of the mindful eater who loses it after supper. One struggled with anger management and feared he’d never have someone in his life again; the other couldn’t get over the way her husband walked out the year before and left her to deal with the child alone. Both were clearly using the snacks as a way of burying the huge and overwhelming feelings that were never far from the surface – rage, grief and self-hatred and a basic desire to be loved. Scary stuff – the kind that you fear will take over and never leave if you let them in. Without the junk-food as a crutch and a hiding place, they were each forced to come face-to-face with what they were feeling, experience it and move through it. Maybe you don’t have any overt drama in your past and you’re not suppressing any big emotions, thank you very much. Maybe it’s just a few snacks in front of the TV. Nothing wrong with that on occasion. 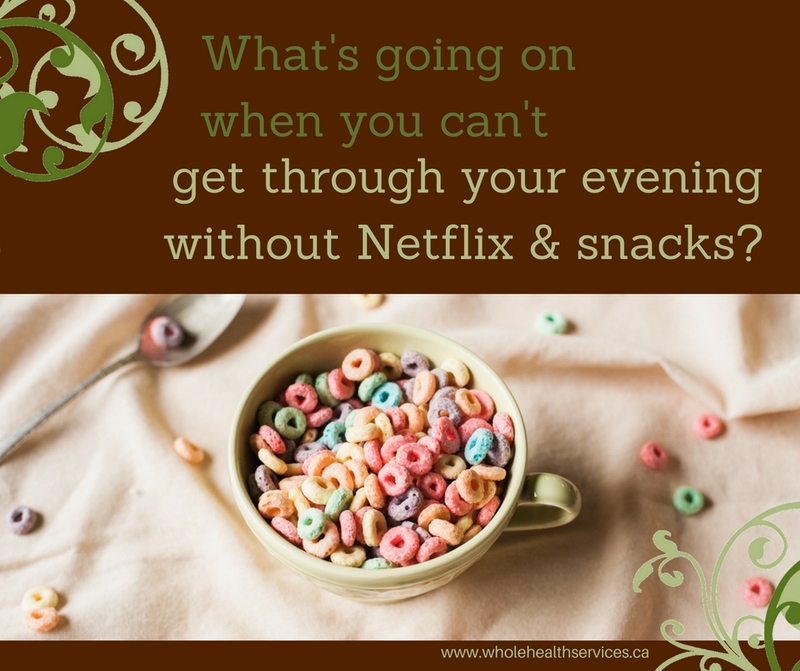 If, however, that’s the norm; if you can’t face the evening without numbing out with TV & snacks, then it’s time to address what’s going on underneath. Knowing what you want, but can’t sort out how to get it. Until you sit with those thoughts & feelings, say hello to them, let them expand so you can explore what they need from you, you will stay stuck in that vicious cycle of grazing. Offer yourself the white space for your thoughts and feelings to emerge. It might will get messy and uncomfortable; let it be so. Call on your support system when you need them. The peace you find on the other side with be well worth it. What happens to you, inside, when you choose to stay away from the evening snacks? When you share in the comments, you open the possibilities for others. Send this post to a friend who’s stuck on this wheel, and let her know that you’ve got her back while she works through whatever comes up. Something’s not right. Should I give up gluten? Every once in a while, you get to the point in your life when something’s got to give. The sense of dissatisfaction spills over into your body, so you just don’t feel right, and those nagging little things start to get louder. Life has a way of showing up in your body. I’ve given up counting the number of women I come across who feel the stress of life in their digestive tracts. who start gaining weight without having changed a thing in their habits. When life takes a big left turn, it’s only normal that you’re going to feel it where you’re most susceptible – digestive tract or other places. When you’re in the muddy transition zone of moving from the life you knew into the vast unknown, your body is going to express its fear in the place it knows you’ll hear it. When something desperately needs to change, your body will speak to you in a language that makes you pay attention. Because you feel it in your body, the first place you’re going to look to fix things will be with your body. Without going into a long sermon about the overload of gluten (mostly highly-hybridized wheat) in our North American diets, understand that too much of anything difficult to digest will cause problems. Being on the harder-to-digest end of the spectrum, gluten helps set the stage for inflammation anywhere in your body. When there’s already inflammation specifically in the gut, there is limited access to the brush border enzymes that break down that gluten, amplifying the problem. Meaning: If there’s any of inflammation in your body – anywhere in your body – gluten may do you more harm than good. I can almost bet that most of the gluten you eat comes in the form of refined wheat (or other grains), i.e. flour products. Even if your bread and pasta and muffins are made with whole grain flour…they’re still made with flour!! As a matter of fact, even if you’re avoiding gluten, there are a heck of a lot of lovely substitutes that are also flour-based…because they’re aimed at replacing the stand-bys you’d rather not go without. Think of it this way: remember when you were in kindergarten and you mixed flour and water to make a paste? Imagine how that paste would gum up your intestines, making the digestion of almost anything more difficult. Meaning: Get your starch and sugars from whole grains (full stop!) and vegetables…not flour products. What about your life are you not digesting? What is it about your current life and the chaos you’ve been getting through that you can’t assimilate? What are you having a hard time swallowing? I can do this all day, but I think you get the point. 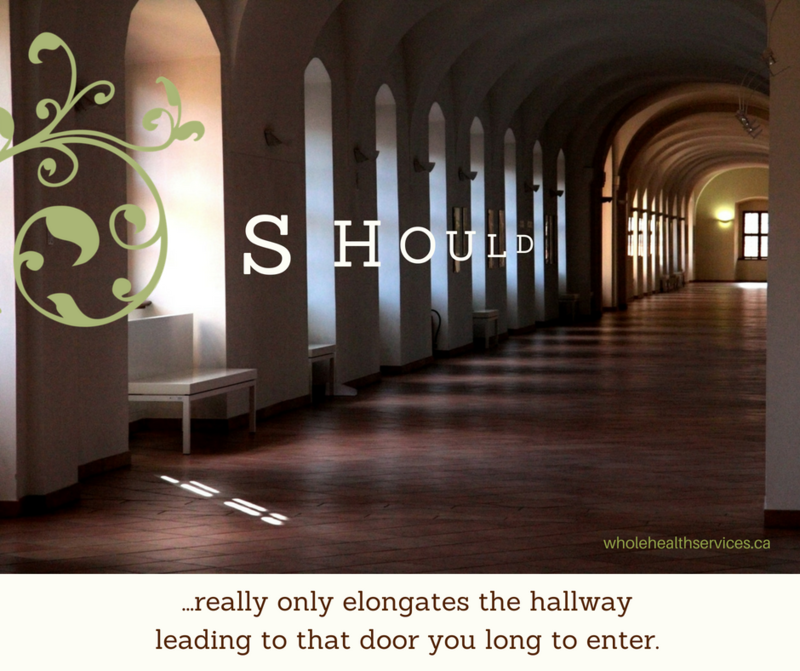 Here’s your invitation: Insert whatever symptom you’re having (digestive or otherwise) into the metaphoric questions and notice what comes up. Most likely you’ll find emotions that need expressing and beliefs that could use re-evaluating. Meaning: Your digestion is a reflection of how you digest life. I wrote a whole post elaborating on that idea here. Chances are, even if staying away from gluten will ease your symptoms, the way your body is reacting – the way it’s speaking to you – will open the door to the places that really need your love and healing attention. I’d love to hear what comes up for you when you ask yourself those questions. If it’s too personal for posting below, by all means, send me an email instead. When you share your story, you open the possibilities for others. Be sure to share this post with those friends who are having a hard time swallowing their current reality by using any (or all!) of these buttons.